SUZAN BARRIE AIKEN is a family law attorney, mediator and collaborative law practitioner with more than twenty years of experience successfully negotiating and mediating family law settlements. Suzan is committed to facilitating respectful negotiation and creative settlements. Suzan approaches consensual dispute resolution with both empathy and skill. She has been a collaborative practitioner since 1998, and a mediator for over a decade. Since 2006, her practice has been devoted exclusively to consensual dispute resolution. In addition to her private practice, Suzan regularly serves as a Settlement Master in San Francisco. She also serves as a Settlement Panelist in Marin, including in the context of Marin's innovative Interdisciplinary Settlement Conference program, addressing high conflict custody matters. Suzan is deeply committed to consensual dispute resolution, and involved with supporting the development of the field at the local, national, and international levels. She is a board member and Past President of the International Academy of Collaborative Professionals, having served as its President for the 2016-17 term. In 2014, Suzan served as president of Collaborative Practice California, the collaborative practice organization for the state of California, and she continues to serve on the organization's board of directors. She is also a member of the board of directors of Collaborative Practice Marin, where she served for more than five years as the organization's first board President. 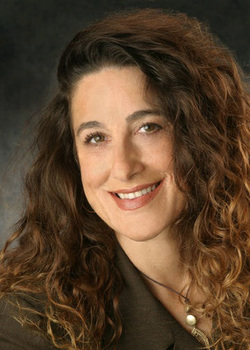 Suzan recently served on the board of Integrative Mediation Marin, and is a member of the Dispute Resolution Section of the American Bar Association, as well as The Mediation Society. Suzan regularly trains and presents to other professionals, and co-authored the publication Collaborative Team Practice in Divorce. In 2010, Suzan was honored with the Collaborative Practice California Eureka Award, which recognizes those who have made significant contributions to Collaborative Practice in California.